Chicago wedding planner Melissa Phillips is the event guru behind Simply Perfect by Melissa. There isn’t a wedding she can’t plan and Stitely was thrilled to be able to ask her a few questions about her company, the wedding industry and some great advice for brides and grooms to be. Stitely Entertainment (SE): How did you get started in event planning? Melissa Philips (MP): I started in college with their Student Activities Department. I interned for 2 years assisting with student programs- brainstorming, planning, and executing. One of my favorites was an annual awards dinner hosted at a downtown hotel. I loved the details and logistics…and it kind of stuck ☺ I then taught for 7 years and became drawn to event planning for the school district- dances, philanthropic events, in school spirit activities, and parades. I began to enjoy that a bit more than teaching and decided to start my business on the side. Things developed quickly, and soon after, I was working full time doing events. SE: How does Simply Perfect by Melissa differ from its competitors? MP: I think personality and style really separate planners from each other. It is important that couples find a coordinator who they can click with…there is a long planning road you travel together. I strive to make each event completely unique be it through stationery, décor, entertainment, food, or event flow. 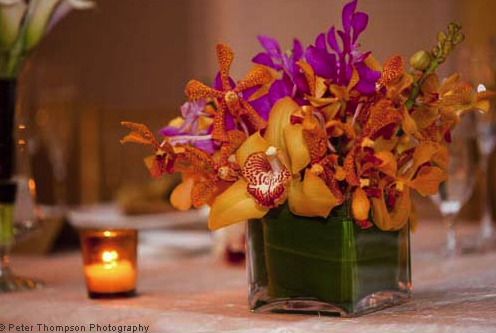 Our goal is to leave your guests with a lasting memory of the event. SE: What part of your job do you find the most satisfying and the most challenging? MP: The most satisfying part of my job, without question, is the day of the wedding when the reception is all set and the bride and groom see the space for the first time. The team who creates the day can easily envision the final look. For the couple, this is when all the details we have hashed through come together like a perfect puzzle creating an unforgettable moment. I LOVE their reactions when they walk through the doors (it gives me the chills just writing about it!) Logistics are always a challenge. Each wedding brings a new set, but that is what makes each wedding so great. No two are ever the same. I love a good challenge and enjoy being given the opportunity to tackle them. SE: What is the key to a successful event? MP: A solid schedule!! I think some couples may underestimate the power of a good timeline. I have had people contact me for day of coordination services with timelines already prepared. After doing 200+ weddings, you quickly learn where time is lost, time can be gained, and how much time is needed for all that needs to be done. Mapping that out ahead of time with all of the logistics in place and possible areas where obstacles may develop is essential to making the day go smoothly. There are only so many hours and minutes in a couple’s wedding day. We want to make sure each second is put to good use! SE: What is the craziest event story you can share? MP: There seems to be something a little crazy with each event so pinpointing one particular one is challenging. We pride ourselves in doing what is necessary to make the day go perfectly. From steaming the stain gown while 9 months pregnant on my hands and knees (sent to the bride that way from a nationally know luxury bridal shop) 30 minutes before she was to dress because she didn’t realize just how bad it was, to gluing the groom’s head back on his bobble head cake topper seconds before the ballroom doors opened to calming a mother and daughter screaming quarrel (complete with “are you sure you want to marry this man”) minutes before she was to walk down the aisle to adjusting several brides’ “girlfriends” in their dresses because the bridesmaids always seem to disappear at just the right time…every wedding has me walking away with a laugh or two. I look at it as all being part of a day’s work! SE: Any tips you can give to our engaged clients? MP: Enjoy the process!! I would be lying if I said planning a wedding is stress free…there is plenty of stress to go around. This will probably be the largest social event you ever host, and that can be a bit intimidating. Try to keep things in perspective as to what is most important. My priest gave me the simplest, yet best, advice as I was planning my own wedding- In the end, you are married…mission accomplished! Really…take the time to smell the flowers (at your floral sample), enjoy every bite of food you sample (at all your tastings), and most importantly, take mental pictures throughout the day of your wedding. Those moments when I consciously stopped myself to absorb the moment are the parts of the day I remember most. SE: If you were stuck on a desert island which three albums would you want with you? MP: I am absolutely horrible with song titles and artists. I would have to go with music styles. I need some Motown for the beat- it will keep me motivated. I need a mix of slow, sappy songs for the moments when I break down- it will make the break down go quicker so I can bounce back. I definitely need some classic party dance tunes so I can take advantage of no one being around…I can dance crazy style and no one can laugh at me HAHAHA!!! With four versatile wedding bands, a team of DJs and a cadre of solo musicians, Stitely Entertainment has performed all over Chicagoland. But one of the most unique (and beautiful) event spaces is the Skyline Loft of the Bridgeport Art Center. The Bridgeport Art Center is a multidisciplinary venue where artists, fashion designers and creative professionals of all kinds can find space to work, create and share their ideas. We spoke to the Natalya Judina to get the skinny on holding events at this gorgeous locale. SE: Can you give us a rundown of the different rooms? SE: What makes the Bridgeport Art Center different from other venues? NJ: Skyline Loft at the Bridgeport Art Center is newly renovated and its completion took three years and cost $1,000,000. We kept the original wooden floor, and re-purpose the metal from the building that is used for the floor and the artistically designed restrooms. Skyline Loft has an amazing view of the Chicago skyline and 120 linear feet of skylight running through the space. We also have an elevator that is capable of caring car / objects up to 8,000 pounds. Some customers choose to decorate this elevator with chandelier and use it as an extra entertainment space with a bar/music/chairs/cocktails, so that guests have something to do while they are getting up to the 5th floor. SE: What goes into creating a catering menu? NJ: The approved caterers on our vendor list can create any menu for any type of event. Some of the top caterers in the city are on the list. SE: How does The Bridgeport Art Center staff work with other vendors, such as Stitely Entertainment? NJ: We just try to support each other to make an event as special and unique as we can. SE: What are your favorite ideas from recent weddings? NJ: Any wedding should be special. In order to make it happened it’s important that the Event space has a supportive, and not a leading role during the wedding event. Skyline Loft at the Bridgeport Art Center is this place. It has raw urban elegance of timber beams and hardwood floors that allow to create such background for an event that is both beautiful and subtle in its nature. In other words, Skyline Loft emphasizes a couple, not itself, and makes their day as special & unique as a couple want it to be. SE: Are there any cool corporate clients or events that have booked in the past? NJ: We had different corporate events in the past, such as Skyy Vodka New Product launch or Italian Expo, as well as Fashion and Trade shows. SE: Any pictures you’d like to share with us? When you’ve been in the event industry as long as Stitely Entertainment, you get the opportunity to see some rising stars at an increasing number of weddings. But to say that Colin Lyons of Colin Lyons Photography is a rising star is to diminish what he’s already accomplished. This art school grad has a thriving business and has already accrued a number of awards such as The Knot’s Best of Weddings and WeddingWire Bride’s Choice awards. After sharing a number of weddings together, and getting some FABULOUS photos for own site, we just had to get to know Colin a little better. Stitely Entertainment (SE): How did you get started in the photography business? What about photography makes you love it enough to do it for a living? Colin Lyons (CL): I grew up with a professional photographer as a neighbor, and he was my first insight into photography. When technology combined with photography I saw an opportunity for myself. It took two of my interests merged them. At the same time I adore creating good work. Being a part of people’s big day has always been an honor as well. Specifically I love wedding photography enough to do it for a living. SE: What part of your job do you find the most satisfying and what part do you find most challenging? CL: Aside from getting to make photographs I really adore the social side of what I do. I often call it catch and release socialization where I meet people, spend four days with them, and then send them back out into the world. I really enjoy meeting so many new people. One of the things that can really make or break a wedding photographer is their ability to be respectful of how important the couples’ wedding day is to them. It is very dangerous to approach the wedding from the standpoint of it being an obligation, and I am constantly fighting to treat every wedding as unique. SE: How do you distinguish yourself from competitors? CL: This is of course the grand question for everyone. My photos are lush and bright with celebration. I always share the photos with the couple providing the images on disk, and create a slide show for the couple that has a strong sense of the story of their day. 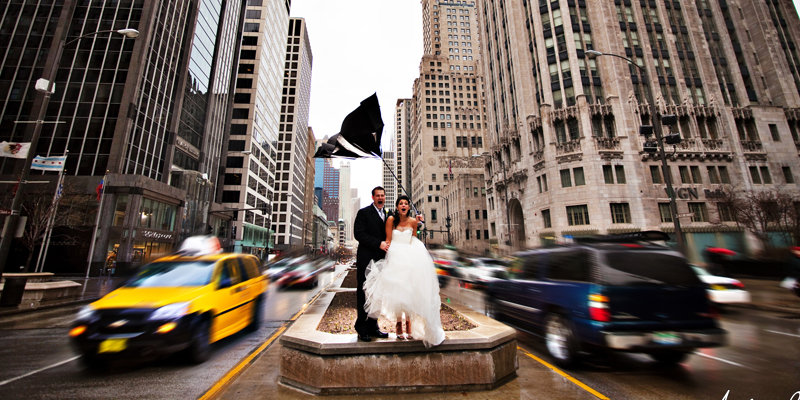 Chicago wedding photographers often thrive in one of two places. Some have really excellent photos, and some are people who you really want to spend your wedding day with. I can successfully combine both strong photography, and personality plus service which is rare. SE: What is the key to a successful event for you? CL: Preparation is extremely important. I meet with all the couples approximately the Monday before the wedding. CL: One of the weddings I shot had an immensely powerful dance floor, and it all ended with the crowd holding the groom up in the air and dancing to only the sound of their own singing. They stole bottles of liquor from the bar and drank it straight. SE: Any tips you can give to our engaged clients about how professional photography factors into their big day? CL: Spending so much time with the photographer on the big day I really believe in the engagement shoot. It is not just a chance to get great photos, but also a chance to build report and learn to be photographed before your wedding. Stitely has worked with many A-List caterers over the years. Their delectable dishes are works of art that grab your attention while titillating your taste buds! We had a chat with Pamela Swisher, Director of Sales from Wolfgang Puck Catering, to get an inside look at what it’s like to work at such a high-level caterer. Stitely Entertainment (SE): How did you get started in catering, Pamela? Pamela Swisher (PS): I started to cook part-time on parties with a company called Gaper’s Catering. I had a full-time job, but fell in love with the team work I experienced putting out an event. Shortly after starting with Gaper’s, I interviewed for a full-time position and was placed as the sales representative for one of their top corporate companies. SE: How do you develop a menu? PS: We listen to our clients about their vision and budget. Then I work with our talented culinary team to personalize a creative seasonal menu that will exceed their expectations and wow their guests. SE: Since you work with food for a living, do you enjoy cooking at home? What are some of your favorite things to cook? PS: I love to cook! In the summer it is everything to do with tomatoes and whatever I can buy at the Farmer’s Markets – I let the gorgeous produce lead me in the right direction. I make a mean meatloaf and “world famous” Italian sausage lasagna when it gets cold! 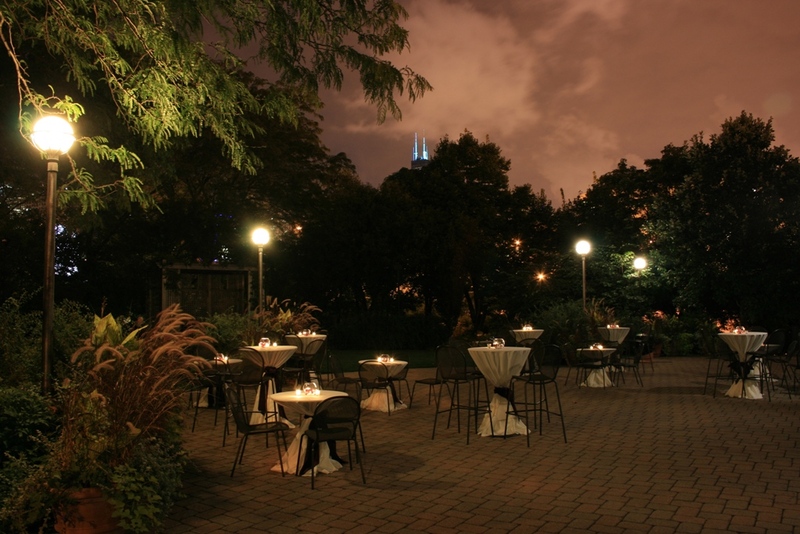 PS: The night of one of the galas we were catering, we actually had Wolfgang Puck on site and really wanted to make him proud of his Chicago team…Just prior to the first course being served, a circuit blew out in the kitchen tent – no lights and no ovens! As we are waiting to hear when the electricity would be back on, a “surprise” table of 12 started to become agitated because there was no table set for them. We were all trying to keep everyone calm and look as professional as possible. Over the radios, someone let the cold kitchen know they were ready for the salads to go out – even though we had no electricity in the hot food tent! So, salads went out, a 12-top table got popped up and the electricity magically came on – all at the same time! Big sighs of relief, but so stressful for an intense minute! SE: What sets Wolfgang Puck Catering apart from other caterers? PS: We are a passionate group, committed to delivering on Wolfgang’s vision. Our restaurant-quality experience includes creative presentation and the best ingredients, as well as personalized service – sometimes a challenge in the special event setting! Our food is easy to sell because it is always prepared a la minute (to order) so we know it is going to be delicious. Our service is perfect. Our customer relations are of utmost in importance to our sales team. SE: What advice would you give to couples when working with their caterer on their wedding? PS: I start by telling couples that the whole process should be fun and if it ever gets stressful, they need to take a break and walk away from the wedding planning temporarily. I also tell them to get all of their vendors hired and then we can do a tasting as one of the last phases of the planning. I think it helps them relax about making so many big decisions at once. SE: Put your iPod on shuffle. What are the first three songs that come up? Thanks for sharing Pamela! In case you haven’t seen enough mouthwatering pics from the Wolfgang Puck menu, here’s a few more. Enjoy! Over the years, Stitely bands have performed at Galleria Marchetti dozens of times and every event has been produced with professionalism and class. We caught up with event and wedding guru, Corey Marchetti, and asked her to tell us more about her and her husband’s gorgeous urban venue. Stitely Entertainment (SE): Can you give us a run down of the different rooms? Corey Marchetti (CM): We have the East Courtyard for ceremonies and cocktail receptions and the Pavilion for receptions over 100 guests. We also have an indoor room, the Perugia Room, for cocktail receptions and small seated receptions. The smaller area, which is the West Courtyard and Ristorante, can host events up to 90 guests. SE: What makes Galleria Marchetti different from other venues? CM: The unique combination of the urban and garden environments and the outstanding food and customer service that comes from a boutique venue. SE: Why should people choose the Galleria Marchetti for their events? CM: The personal attention and customer service are outstanding. 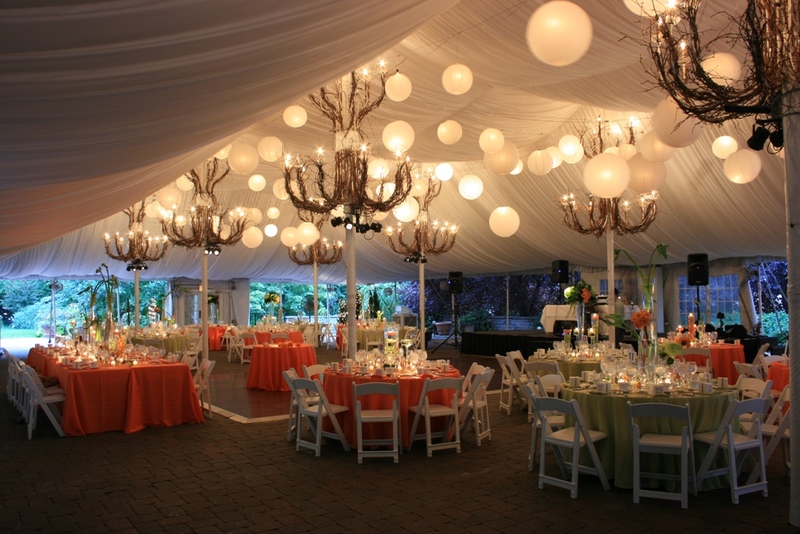 Each event is treated like our only event and each client is given extensive personal attention. Also, the gardens are amazing. Different things bloom year round and there’s so much charm in a garden event. SE: What do your wedding packages include? CM: We are able to offer almost everything on site, including food, beverage, and equipment. Most clients purchase their cake and flowers from an outside vendor and also hire a band or DJ on their own. CM: We take into consideration what the market demands, meaning what is trending and what is tried and true. This means a variety of comfort food and cutting edge ideas to create an approachable but memorable menu. We like to highlight the food we know we really do well and that helps to keep the menus from getting too large. SE: How does the Galleria Marchetti staff work with other vendors, such as Stitely Entertainment? CM: One of the most rewarding things about this industry is working with outstanding vendors. We love developing personal relationships with vendors and helping couples to connect with those vendors. We provide recommendations whenever we’re asked. SE: What are some of your favorite ideas you’ve seen from recent weddings? CM: We love weddings that incorporate the garden theme into their event. It’s so beautiful and creative when weddings use rustic ideas like mason jars, moss, branches, etc., for their centerpieces. Vintage vases and décor also look amazing at our venue. Pin spotting is always lovely on the centerpieces since it looks so elegant with the white tent. SE: Any interesting events that happened or cool organizations that have had their events at Galleria Marchetti recently? CM: Some of our favorite events are animal fundraisers for organizations like PAWS and Tails of Hope. They always allow pets to attend the events and it’s exciting to see people so passionate about their cause. We have a doggy buffet and the raffle prizes are always so much fun. Thanks to Corey for taking the time to talk with us. We look forward to seeing her and J.P. in August for another fabulous wedding! With their enormous success in the Chicago area, Tying the Knot is taking wedding planning to the next level. Their attention to detail and quality service give each couple the most stress-free experience during their big day. We sat down with Christine Stone, Senior Consultant (and just one part of the amazing Tying the Knot duo) and learned her favorite part of her job, what makes the perfect event and more. Enjoy! Stitely Entertainment (SE): How does your company differ from its competitors? Christine Stone (CS): In addition to creating beautiful, memorable events, we have a strong focus on flawless coordination and guest perspective. We problem solve as much as possible in advance to prevent unnecessary wedding day snafus. SE: How did you get started in event planning? CS: I began my career in event planning 13 years ago as an apprentice and then several years as wedding day assistant to amazing wedding planner, Frank Andonoplas. Tying the Knot continued to grow and Brooke Righeimer joined me as partner in 2005 when we opened our studio in downtown Hinsdale. CS: The most satisfying part of wedding planning is getting to see the entire event come to reality and couples and their family fully immersed in the day without stress. The most challenging part of our business can be trying to link together differing viewpoints and ideas of the couple and their families to create an event that they will all love. CS: Great communication is definitely the key to a successful event! Wedding professionals that are all on the page about the flow of the event and working together to make sure that it happens. CS: The power at the reception venue went out and the band kept the party going by playing acoustically, while our staff hunted down candles to add to the tables and even got glow sticks for the guests. It was wild but people still had a great time. CS: Time on your wedding day is precious and it goes by in a flash. So be sure to prioritize and plan your day out well. Disappointment is usually because you received something different than what you expected. So be clear with your wedding professionals about your vision and expectations. We are looking forward to working with Christine and Brooke this September and October when Stitely Entertainment and Tying the Knot team up for some great events! Today we look at the amazing work of Chicago photographer, Andre LaCour. His ability to bring quality and class to each bride’s big day is demonstrated through the moments and stories he captures in each photo. In fact, Stitely‘s favorite photo that we use in our marketing materials (just to the right of this post) was taken by Andre LaCour! We sat down with Andre to learn what sets him apart from other photographers and his big tips for any future photogs. Enjoy! Stitely Entertainment (SE): Can you please explain your business and what kind of services you offer? Andre LaCour (AL): I provide photography services for clients looking for something special. Images that are artistic, and capture emotion with a fashion flair. Although weddings are the bulk of my business, many brides do boudoir sessions as a gift to their grooms. Additionally, I do corporate and family photos. SE: How did this type of work interest you and how did you get started? AL: A terrific high school teacher fostered my interest in photography. While I was in college, this teacher had begun doing wedding photography and with his encouragement, I trained to become one also. At the time, it was a great way to earn money by working one day a week, which didn’t interfere with my grades. Everything just blossomed from that one decision. SE: Can you describe a “typical” day at your job? AL: A typical day involves meeting with potential clients, processing and editing images, designing albums, overseeing production, networking and all the business activities generally related to running any type of business. The fun begins on the weekend when the photography starts. A typical wedding involves 8-10 hours and about 2000 images! We try to document every laugh, every tear -from the bride getting ready to the vows to the toasts and dancing. My favorite part of the day is usually the outdoor session when we get to create some artistic images of the bridal party and the bride and groom. SE: What sets you apart from other photographers? AL: My style has evolved into a unique blend of classic, photojournalistic and fashion inspired images. My team and I (I always work with an assistant) carry a lot of lighting gear that enable us to take more sophisticated images. In today’s culture where everyone has a camera phone and we are inundated with images, the professional photographer must surprise the viewer and capture not only what is there, but also what can be imagined. In addition to photography skills, the modern photographer must be skilled in post-production techniques to enhance the images. My experience and training also set me apart from most photographers. Having photographed over 1000 weddings and having trained with top photographers from around the world helped me to earn my Master’s and Craftsman’s degrees from PPA. SE: What part of your job do you find the most rewarding? Most challenging? AL: The photography is the most rewarding. The challenge is reaching the right couples to make them aware of what I offer. Today, anyone can put up a website and call themselves a photographer. In a very crowded market, it can be difficult to reach the brides and grooms who want a premium product. SE: Do you belong to any professional associations? AL: Yes, I belong to the Professional Photographers of America (PPA), and Wedding and Portrait Photographers International (WPPI), the 2 main organizations for professional photographers. SE: If you had to recommend a venue for a wedding, which would you choose? AL: That’s impossible! There are so many beautiful spaces in Chicago. It really depends on what style you like, how many guests and, of course, your budget. For me, I enjoy any space that has a unique style, whether modern like the Intercontinental O’Hare or Museum of Contemporary Art, classic like the Palmer House or Hilton Towers or in a category all their own, like the University Club. AL: Years ago, I was photographing a couple who had been living together for years. The power went off in the church just prior to the bride coming down the aisle. While everyone panicked and talking about omens, I had the singer perform a cappella, had the priest light candles and got her down the aisle and married! SE: What kind of changes have you seen in this industry over the past few years? AL: The industry has changed completely in nearly every way. Events are more customized, bigger, more expensive and more detailed. SE: If you could have any superhero power to help you with your job, what would it be? AL: Hmm…great question. I guess Superman’s ability to fly is hard to beat…we could get from one location to another really quickly and without any pollution. SE: Any tips for aspiring photogs? AL: Study and really practice your craft before you take the responsibility of someone’s memories. So many new photographers are “self-taught” and learn on the job. A bride’s special day that she’s planned for a year is no place to practice. Learn your craft and look, act and present yourself as a professional. Learn both the principles of photography as well as art. It takes years to develop your skills and aesthetic style. Too often, everyone wants “instant” success. As another photographer once said, “everyone wants to be a rock star, but nobody wants to learn the chords”. It’s a fun but challenging profession, perhaps never more difficult than it is right now. Over time however, old world values like quality, integrity and creativity will serve you well.